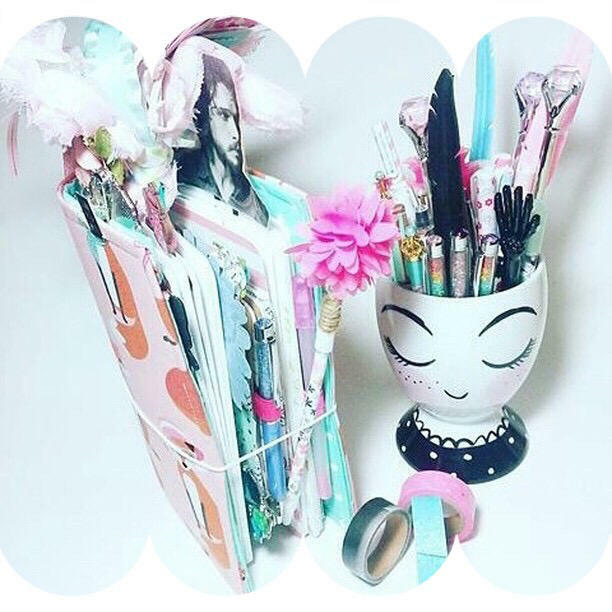 In case you don’t know the history of this Fancy Cup Design, last year Target came out with the most adorable pencil cup and as a stationery addict and lover of all cute things I had to have it! This cup has inspired so many, you can find many things using this design. As a creator, I made one out of paper, paint and ink for a planner dashboard. 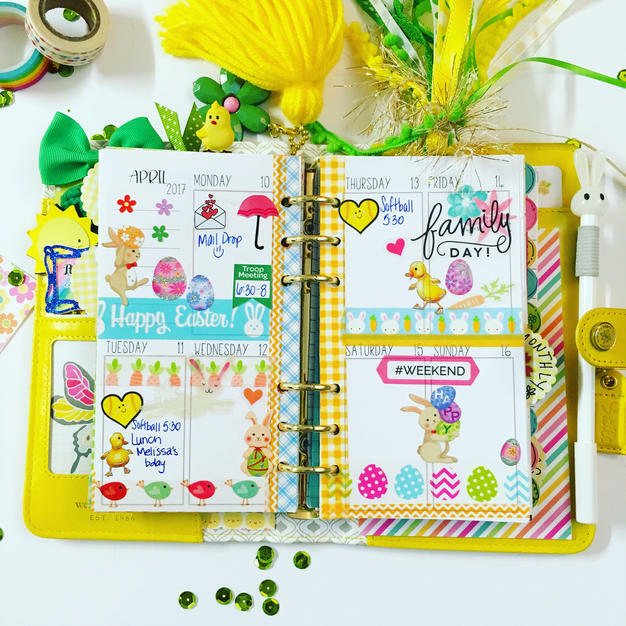 If you browse a few posts back I am offering the design as a free printable, for your own planner, jounaling or scrapbook so be sure to check that out. 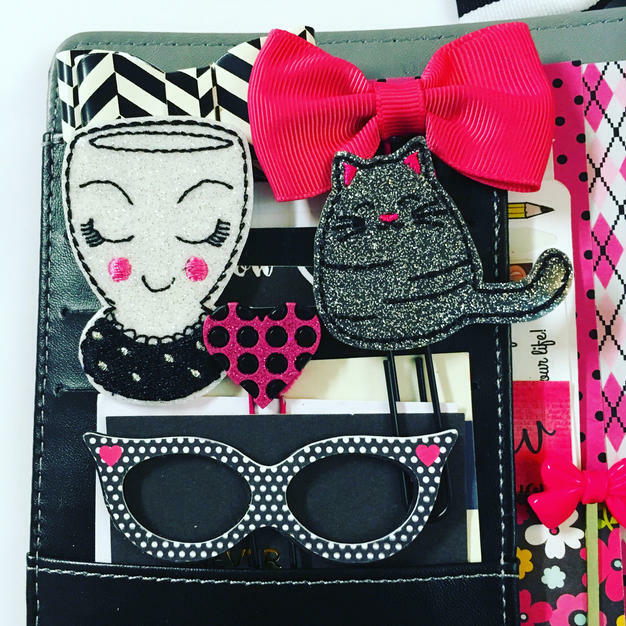 The planner I’m using this week is from Michael’s Personal Planner recollection The inside pockets wouldn’t be complete without a chubby little grey cat, (clip from Lady Bug on a Pug) don’t you agree?!? 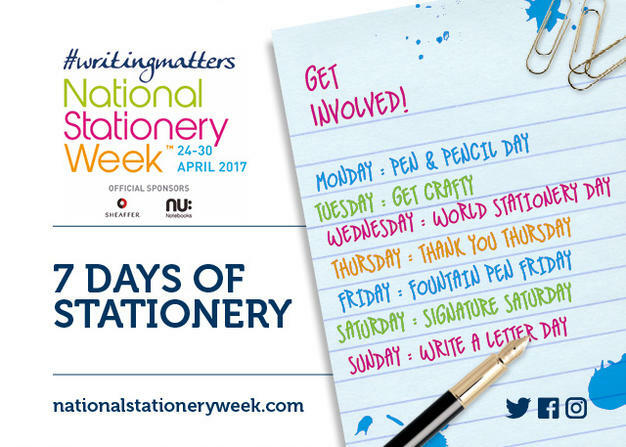 This week is National Stationery Week and I bet you are wondering what that means? Well, there is a whole website dedicated to ways you can play along and celebrate the week! 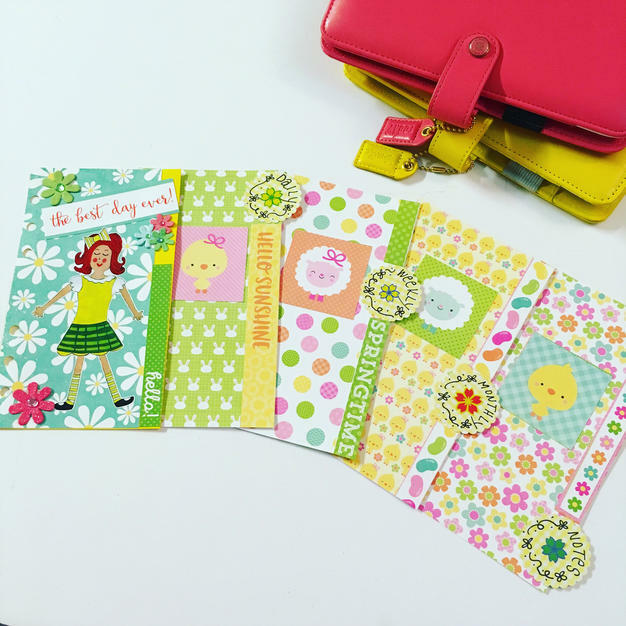 I am participating in the 7 days of Stationery. Yesterday was Pen and Pencil Day and I have a confession, I am a pen addict! 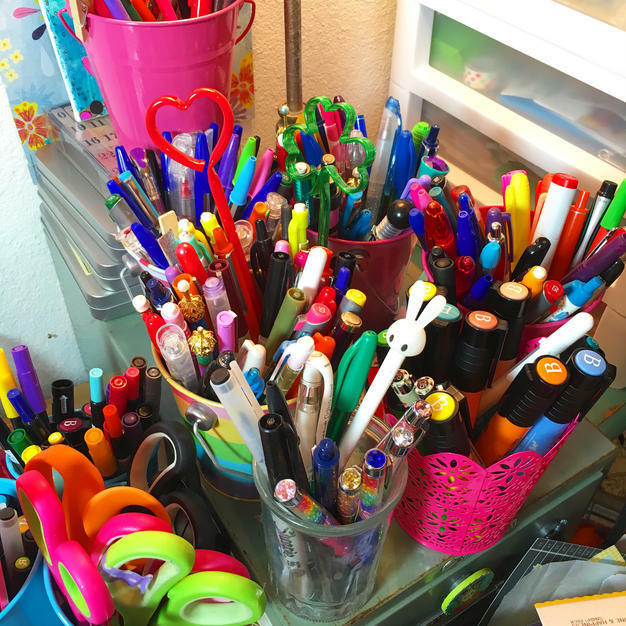 I love pens , all kinds fine tip, ball point, colorful pens, brush tip pens… the list is endless. Here is a photo of the corner of my work table in my art room. Hello! Happy Monday! Today starts the day for A Week in a Life! I absolutely LOVE this project. 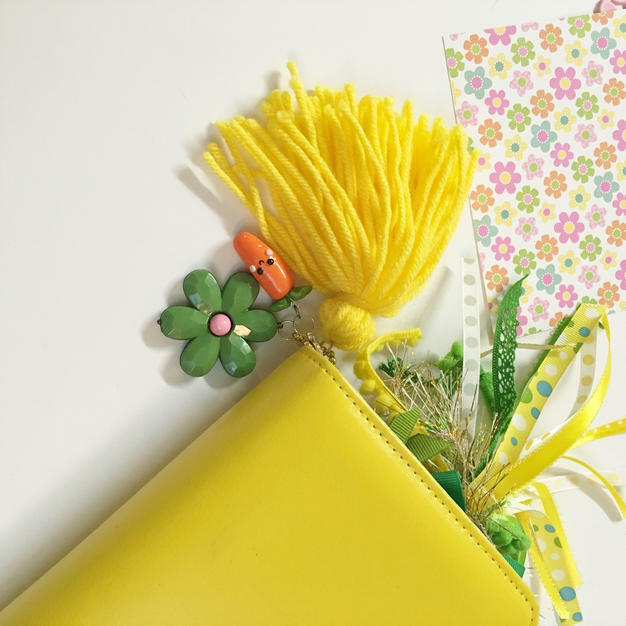 This project is all about documenting your life for a week. No matter how MUNDANE or how EXCITING and event a week an be in your life, this is documenting it. 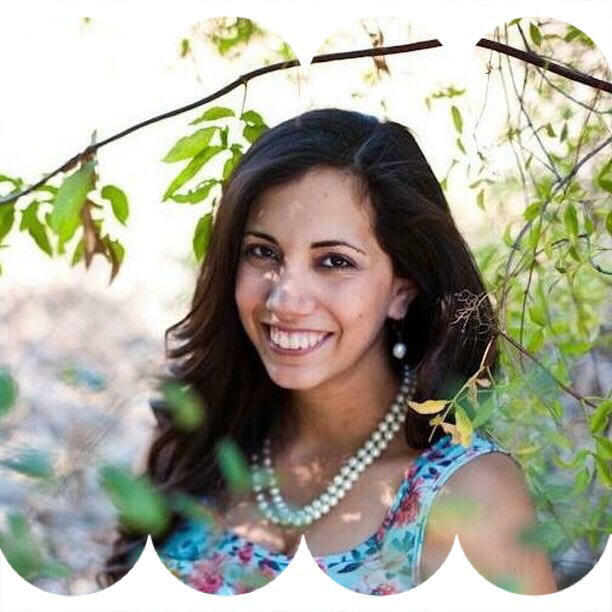 Be sure to check out Ali Edward’s blog for details. 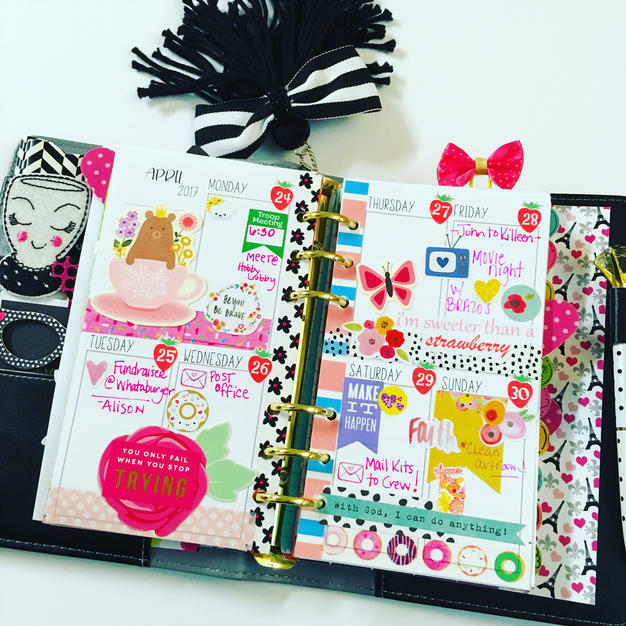 I use her printable daily sheets to create a booklet and document the day to day. I’ve created a quick video to show you my process. Follow me on Facebook and Instagram for daily photos of my progress! 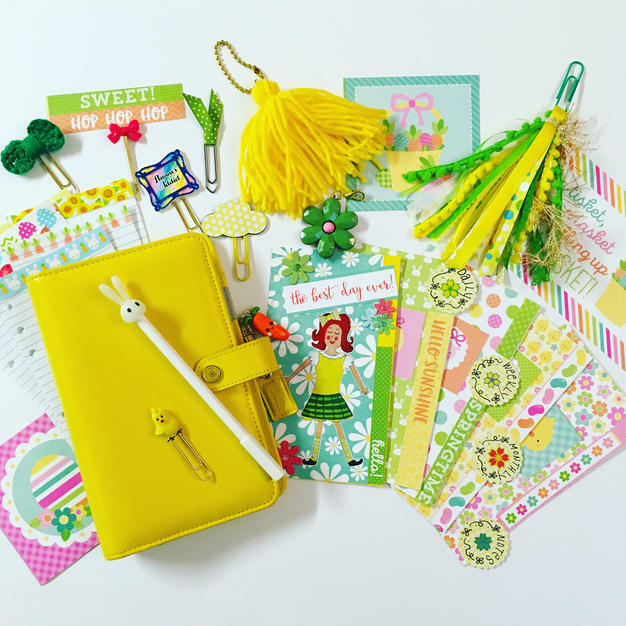 There is just something about Spring and Eastertime that brings a renewal to the soul. It’s the time where everything is green and in bloom and although Spring storms can be fierce I love a downpour of rain. 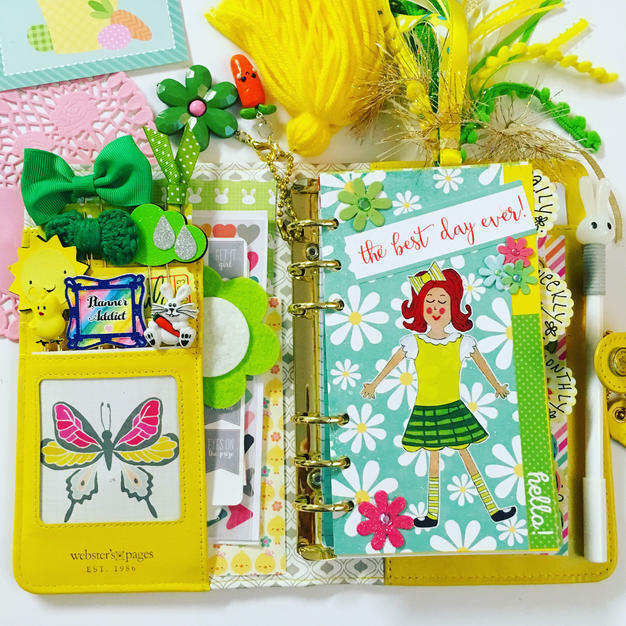 This week is Easter week so of course my planner is in full boom and filled with all things green and bunny related. 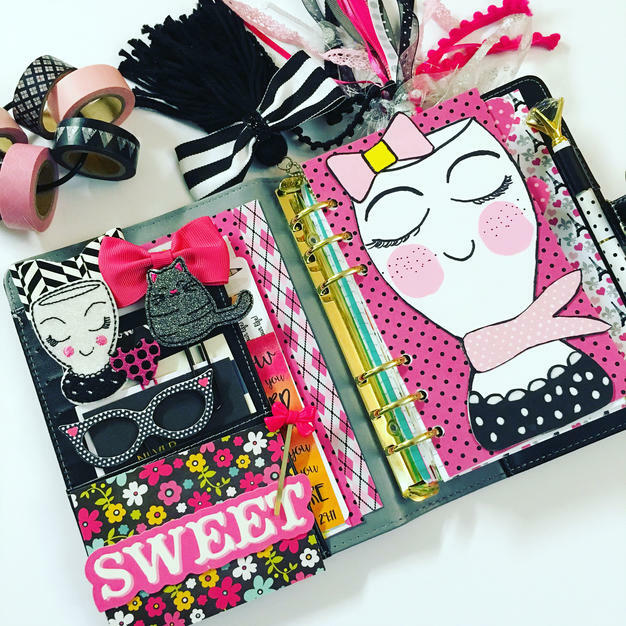 I had purchased DoodleBug Design paper from the last ATX Planner Retreat from Preppy Planner Cat and was able to use the adorable papers to make dividers in this week’s setup. For my weekly layout I wanted to use ALL the SICKERS, so what started out as an accident ~ I stuck a clear bunny sticker right on top of the carrot washi~ there was no removing the clear sticker, but after a while it grew on me and I actually liked it. So I made another layered look (Friday). 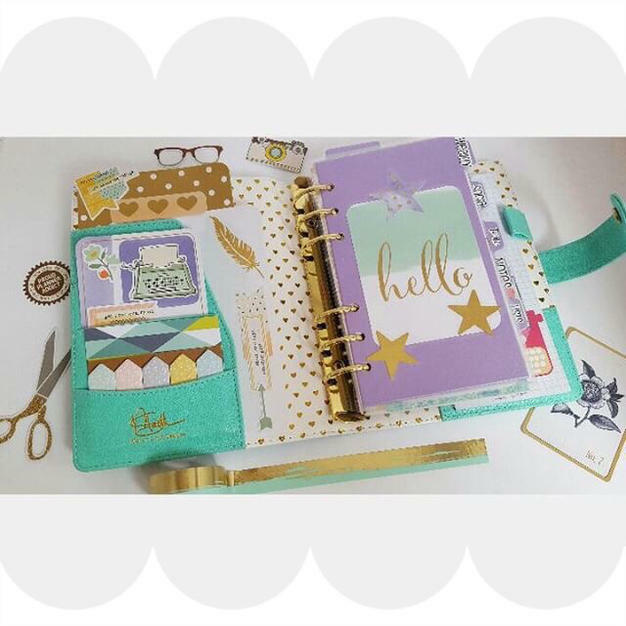 Of course my planner isn’t complete unless I add a bit of tassel love! A bit much? Never!!! HaHa! Hello! Thanks for stopping by! I know I’ve been behind on making videos Yikes! I have such a long list of ideas for videos and I hope to start scratching the list off by getting them created! 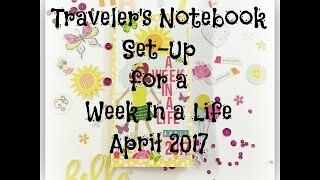 I’ve started a daily bullet list in my mini happy planner and it really has helped me GET THINGS DONE! YAY!! In this video I flip through the last couple of months and talk about how I’m incorporating CHANGE in my life. Some of the things I feel I’m moving forward quite successfully and others well…. not so good. I am okay with that, I’m learning as I go and a BIG step for me is realizing where I need to add change and applying my thoughts into actions. As a people pleaser…eek… that is a BIG step for me. 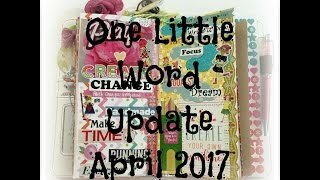 Last month’s ONE LITTLE WORD prompt from Ali Edwards was fun, it was creating a vision board, which I added a page spread to my Traveler’s Notebook. Take a look and see…. Thanks for watching! See you soon! 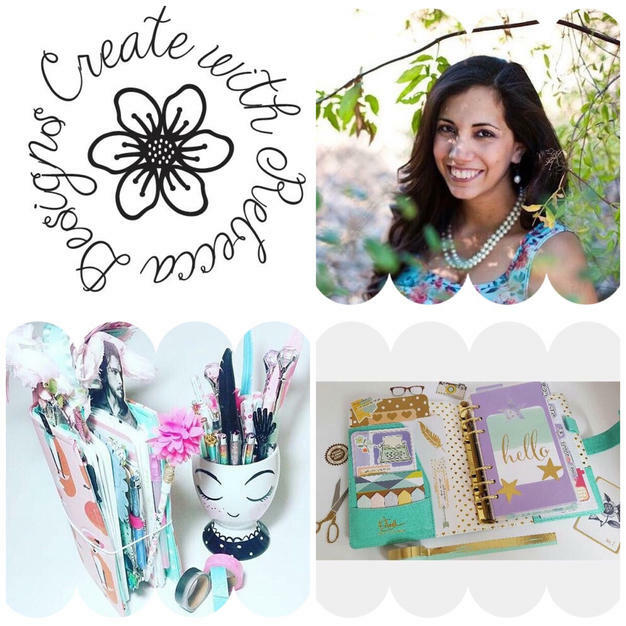 I will be reposting on instagram, facebook and here to show their creations!